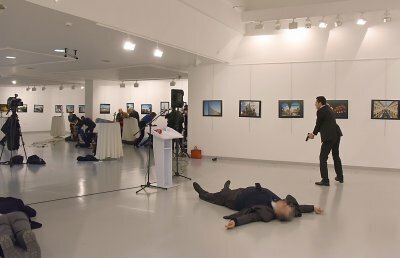 Russian Ambassador to Turkey, Mr Andrey Karlov, has been shot dead by a gunman at an art gallery in Turkey on Monday. Mr Karlov was said to have been murdered by the assassin at an art exhibition in Ankara. According to reports, the Russian envoy was allegedly killed by an off-duty police officer, who was dressed in suit and tie. His victim was taken to hospital in Ankara after being shot, but was later pronounced dead by doctors. Meanwhile, Russia has described the killing as a terrorist attack.